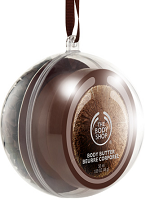 Voucher Codes Canada > Bargains Blog > The Body Shop’s Flash Deal – Save an Extra 20% off on Gifts! The Body Shop’s Flash Deal – Save an Extra 20% off on Gifts! Have you fallen completely head over heels for some of The Body Shop’s invigorating scents? Our The Body Shop Canada coupon page doesn’t have a scent but if it did, it would be fresh, full of new and freshly minted savings. For today only, from 12pm to 3pm, save a bonus 20% of gifts for you and the favorite people in your life (namely me). Pamper yourself from your itty, bitty pinky toe to the tallest hair on your head with the fantabulous Coconut gift duo. Filled with a body butter and a lip butter, it’s the perfect size to tote around everywhere for a quick pick me up. Already reduced to $7, this scent full ball of magic drops down to $5.25 after the code is applied. Act quick or your favorite item might disappear! Supplies are limited and are sure to go fast during this bonus sale. Shipping is $5 with orders of $50 or more. Spend a bit more to get $75 and enjoy free shipping on your order! What are you going to snag in a flash?